meme si ca risque de se calmer à ct ..
... à 195 Moz d'ag et du même coup pour les métaux liés : étain +41% à 160 Mlb, zinc +32% à 548 Mlb. C'est en voyant ce genre de tableau de teneurs (qui sont bien plus que respectables) qu'on mesure à quel point FAN est phénoménale. en ces temps de panique les fondamentaux ne comptent plus. Cela faisait partie de mes craintes et j’avais malheureusement raison. ouverture séance à -9%, actuellement 16.95 $ ... MM type 17.69 cassée down ..
ça explique la superf du jour ..
si : à 17 USpesos ; ça fera presque 6 Millions d'actions en plus, presque 10% de dilution. Le cours chute pour s'aligner. Silver Standard: If you missed our comments on the portfolio page on January 21, CEO and Explorers’ League honoree Robert Quartermain abruptly resigned from the company. We put a Hold on the stock at the time until we could better determine the reasons behind his sudden departure and ascertain what it meant for the future of the company and for us as shareholders. The conversations we have had with our contacts in the industry leave us uncomfortable with the circumstances under which Bob left. While he is admittedly more an explorer than a mine builder, the hasty nature of the departure is telling. Second, we don’t know the interim CEO, and perhaps more importantly, don’t know who the replacement will be. This uncertainty is not exactly comforting. Third, all this occurs while the company is struggling to become a profitable producer, something they have not yet accomplished. The message this sends about current management is not positive. The first pillar of Doug’s 8 P’s is People, and that is now the weak link with SSRI. Bob Quartermain was a big reason we owned the stock, and that reason is now gone. While the company has large silver reserves, operating profitably comes down to management, and we frankly don’t know if they will deliver or not. If we evaluated the company from scratch today, we’d pass on this basis alone. CHANGE IN RECOMMENDATION: CLOSING POSITION. With most of the immediate damage probably already done, there’s no hurry to sell, but we do think it’s time to step aside. We’re going to begin exiting our position after giving you the opportunity to do so first. For the best price, we suggest selling on days the stock is steady or strong. You might consider waiting for it to recover after the initial hit, as patience and a well-executed strategy will ultimately get you the best price. pas glop ça ; merci pour l'info nofear ! $14.3 million or $0.23 per share for the same period in the prior year. or $0.09 per share in 2008.
measures contained in the MD&A for the year ended December 31, 2009. $1.7 million at the Diablillos Project. was $24.5 million compared to $41.5 million at December 31, 2008.
commercial paper market for cash proceeds of $20.1 million. after commissions and estimated expenses. rationalization of Silver Standard's portfolio of non-core assets. months and years ended December 31, 2009 and December 31, 2008. Principal ProjectsSan Luis ProjectAt San Luis in Peru, geotechnical drilling for the tailings dam is required and is nearing completion. The environmental permit application will be submitted when the feasibility study is completed. The feasibility study is expected to be finalized in the second quarter of 2010 upon completion of the geotechnical drilling and related engineering design work.Pitarrilla ProjectAt Pitarrilla in Mexico, the Breccia Ridge underground feasibility study is underway and planned for completion in Q4 2010.Snowfield and Brucejack ProjectsIn the fourth quarter, Silver Standard reported a significant increase in the gold resource estimate at the Snowfield Project and the Brucejack Project following last summer's major exploration program.NI 43-101 compliant technical reports relating to the resource estimates at each of the Snowfield Project and the Brucejack Project were filed on SEDAR and posted on the company's web site on January 14, 2010.At the Snowfield Project, the measured and indicated resources were 4.14 million and 15.63 million ounces of gold, respectively, and inferred resources were 10.05 million ounces of gold.At the Brucejack Project, measured and indicated resources were 0.66 million and 3.38 million ounces of gold, respectively, and 23.8 million and 41.6 million ounces of silver, respectively, and inferred resources were 4.87 million ounces of gold and 71.5 million ounces of silver.A preliminary economic assessment has commenced on the Snowfield Project in British Columbia, and is expected to be reported in the second half of 2010. Planning is well underway for this summer's exploration campaign for the Brucejack and Snowfield projects.Management Discussion & Analysis and Conference CallThis news release should be read in conjunction with Silver Standard's year-end 2009 Financial Statements and Management's Discussion and Analysis filed with Canadian securities regulators available at www.sedar.com or the company's web site at www.silverstandard.com. A conference call with management to review Fourth Quarter 2009 and year-end financial results and project activities is scheduled for Friday, March 5, 2010, at 11:00 a.m. EST.Toll-free in North America: 1-888-429-4600Overseas: 1-970-315-0481This call will also be web-cast and can be accessed at the following web location:http://ir.silverstandard.com/events.cfmThe call will be archived and available at www.silverstandard.com after March 5, 2010.Audio replay will be available for one week by calling toll free in North America: 1-800-642-1687, conference ID 59028765; and overseas callers may telephone 1-706-645-9291, conference ID 59028765. (Source: Silver Standard Resources Inc.)Cautionary Statements on Forward Looking Information: Statements in this news release relating to the estimated production, recoveries of silver and tin, timing of processing of sulphide ore and operations of the tin circuit, anticipated revenues, cash and operating costs per silver ounce, cost to complete construction, estimated costs of mining, milling and administration, operations of the tin circuit, all relating to the Pirquitas Mine, timing to complete feasibility studies and assessments of principal projects, and certain statements relating to our other projects, are forward-looking statements within the meaning of the Private Securities Litigation Reform Act of 1995 and Canadian securities laws. Forward-looking statements are statements that are not historical facts and that are subject to a variety of risks and uncertainties which could cause actual events or results to differ materially from those reflected in the forward-looking statements. 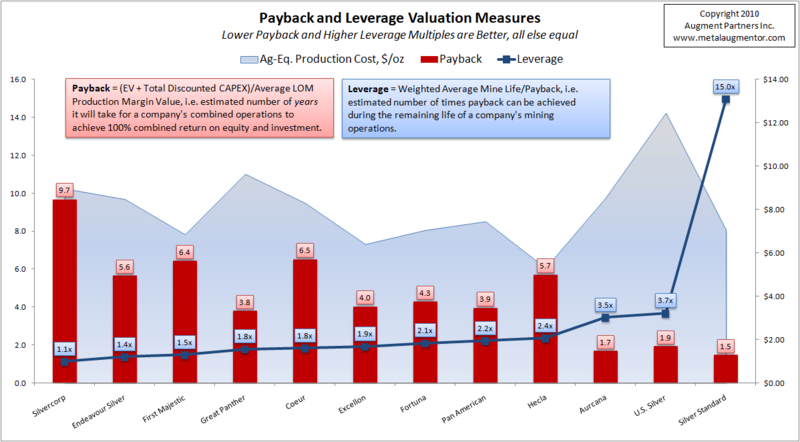 Such risks and uncertainties include, but are not limited to, the company's ability to raise sufficient capital to fund development; changes in economic conditions or financial markets; changes in prices for the company's mineral products or increases in input costs; uncertainty of production cost estimates for the Pirquitas Mine, risks and uncertainties associated with new mining operations, including start-up delays and operational issues, risks relating to the interpretation of drill results and the geology, grade and continuity of our mineral deposits; litigation, legislative, environmental and other judicial, regulatory, political and competitive developments in Argentina, Australia, Canada, Chile, Mexico, Peru, the United States and other jurisdictions in which the company may carry on business; technological and operational difficulties or the delay, non-compliance or inability to obtain permits encountered in connection with exploration and development activities; labour relations matters; and changing foreign exchange rates, all of which are described more fully in the company's Management Discussion and Analysis under the heading "Risks and Uncertainties" and in other filings with the Securities and Exchange Commission and Canadian regulatory authorities.Cautionary note to U.S. investors: The terms "measured mineral resource", "indicated mineral resource", and "inferred mineral resource" used in this news release are Canadian geological and mining terms as defined in accordance with National Instrument 43-101, Standards of Disclosure for Mineral Projects ("NI 43-101") under the guidelines set out in the Canadian Institute of Mining, Metallurgy and Petroleum (the "CIM") Standards on Mineral Resources and Mineral Reserves. We advise U.S. investors that while such terms are recognized and required under Canadian regulations, the U.S. Securities and Exchange Commission (the "SEC") does not recognize these terms. "Inferred mineral resources" in particular have a great amount of uncertainty as to their economic feasibility. 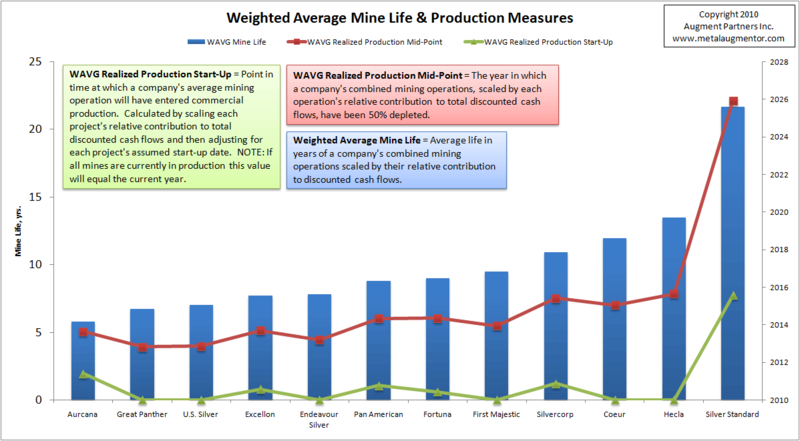 It cannot be assumed that all or any part of an inferred mineral resource will ever be upgraded to a higher category. Under Canadian rules estimates of inferred mineral resources may not generally form the basis of feasibility or other economic studies. U.S. investors are cautioned not to assume that any part or all of an inferred mineral resource exists, or is economically or legally mineable. Disclosure of contained metal expressed in ounces is in compliance with NI 43-101, but does not meet the requirements of Industry Guide 7 of the SEC, which will only accept the disclosure of tonnage and grade estimates for non-reserve mineralization. News SSRI Snow field...ça va être énorme ! Putain, ils ont foré un tas de lingots ? je n'ai jamais vu ça ! Source: Silver Standard Resources Inc.
and five drills are currently working on various targets. duplicate assayed at ALS Chemex in Vancouver, B.C. 13, 2009, and October 22, 2009.
gold per tonne was cut to 31.1 grams of gold per tonne. 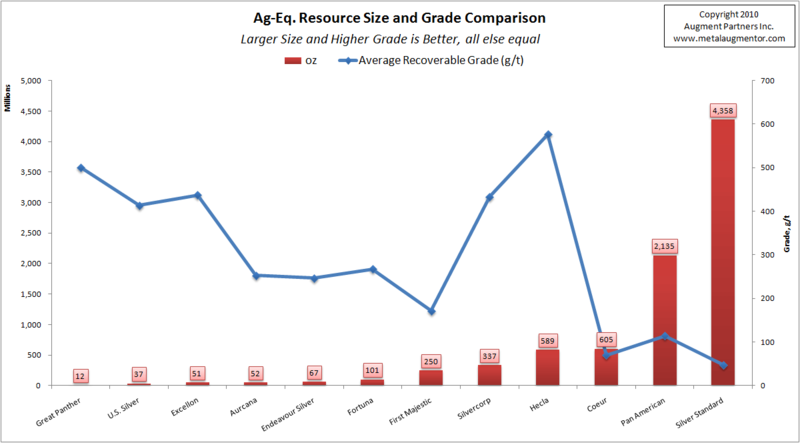 inferred mineral resource will ever be upgraded to a higher category. generally form the basis of feasibility or other economic studies. U.S.
(b) Based on the stripping ratio of 0.57:1 for the Snowfield Project. (c) Based on the stripping ratio of 2.95:1 for the Brucejack Project. Consensus Forecast (EMCF). All prices are in U.S. dollars. Project StatusA total of at least 42,000 meters of drilling will be completed on the Snowfield and Brucejack properties as part of the combined 2010 exploration season. This work was mainly designed to target expansion of the currently defined mineral resources for both projects, and also to provide data for preliminary geotechnical and environmental studies, as well as to supply large diameter core for advanced metallurgical studies. None of the results from this year's drilling has been incorporated into the mineral resources used in the Preliminary Assessment. Updated mineral resource estimates for Snowfield and Brucejack are expected in the first half of 2011.With the completion of the Preliminary Assessment, Silver Standard will assess whether to combine the Snowfield and Brucejack Projects or treat them independently in order to maximize shareholder value.Resource EstimatesSummarized in the table below are the current mineral resources for the Snowfield Project and Brucejack Project, and were the resources used in the Preliminary Assessment. (1) Mineral resources are accumulated within an optimized pit shell. (4) "Moly" refers to molybdenum. (2) Prepared by Dr. Wayne D. Ewert, P.Geo., Tracy Armstrong, P.Geo., F.H. qualified persons, as defined by National Instrument 43-101. (3) See notes 1 to 3 in Table 6 above. AMC Mining Consultants Ltd. operating costs development. Managing Partner of Augment Partners, Inc.
1.09 grams of gold per tonne and 0.91% copper. 0.79 grams of gold per tonne and 0.03% copper from surface. Assets") in northern British Columbia to Pretium Resources Inc.
Pretium (to a maximum of 20% of any such offering). and such holdings may be increased or decreased in the future.Silver Standard's address for the purposes of NI 62-103 is 1400 - 999 West Hastings Street, Vancouver, BC, V6C 2W2. opportunities.To receive Silver Standard's news releases by e-mail, contact Michelle Romero, Communications Director at invest@silverstandard.com or call (888) 338-0046.